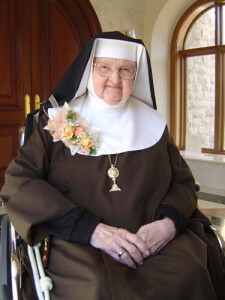 Mutter Angelica, Ordensschwester und Gründerin von EWTN, ist am Ostersonntag, 27. März 2016, gestorben. We ask for your prayers for the soul of EWTN’s beloved foundress, Mother Angelica, who passed away today on Easter Sunday, March 27, 2016 at about 5:00p.m. Central time. Please remain with us as we remember her joyful words, extraordinary works, and incredible life throughout this week.